Tippi Hedren preparing for her interview. Very exciting news! On Sunday, September 12, I'll have the honor of interviewing and moderating a discussion with one of Alfred Hitchcock's most fascinating and inspiring blonds - Tippi Hedren, star of The Birds and Marnie. A strong, intelligent women, her life in Hollywood and beyond has made the world a better place. To wit: my interview with her is in conjunction with a fundraiser for her Roar Foundation and its Shambala Preserve -- a rescue sanctuary for large exotic cats. You're heartily encouraged to attend, and the cost is very reasonable. Here's the official press release, along with this review quiz: If you enjoy healthy cuticles, why should you thank Tippi? The Birds Star Tippi Hedren to Appear at Benefit for the ROAR Foundation. AUGUST 28, 2010, LINCOLN CITY, ORE. – On Sunday, September 12, screen actress Tippi Hedren will host “An Evening with Tippi.” The event will include a special screening of Alfred Hitchcock's 1963 thriller The Birds – her first starring role; an interview and Q & A session led by Alfred Hitchcock scholar Joel Gunz; an autograph session and more. The screening and interviews will take place at Lincoln City's Historic Bijou Theatre, which will also provide a catered reception. Afterward, attendees will have the option to gather at the nearby Historic Anchor Inn for an intimate dinner with Ms. Hedren. The event is a benefit for the Roar Foundation and its Shambala Preserve, whose mission is to educate the public about wild and exotic animals, advocate for legislation to protect them and provide sanctuary for abused and neglected animals, especially big cats such as lions and tigers. Says event organizer and president of the Bay Area Merchants Association Alex Ward, “We are delighted to help out Tippi and the very important work that she does.” He adds, “This project is a community effort, and I've been amazed to see our volunteers generously pool their time, money and other resources to make it a success.” Gunz adds, “Hedren's talent on screen, combined with her devotion to such humanitarian causes as Shambala, are an inspiration to millions of people around the world.” Event sponsors include the Bay Area Merchants' Association, the Bijou Theater, Chinook Winds Casino and the Historic Anchor Inn. Event packages are as follows: Autograph Package: Screening of "The Birds" with Tippi, autograph and Q&A session, catered refreshments, $30. Dine with Tippi Package: Autograph Package, plus an intimate dinner with Tippi (limited seating), $90. Overnighter Package: Autograph and Dining packages, plus a one-night stay at the Historic Anchor Inn, $149 per person, $239 per couple. The Roar Foundation, founded in 1983 by Tippi Hedren, exists solely to support The Shambala Preserve. Shambala is sanctuary to approximately 70 exotic cats all rescued from roadside zoos and private citizens unable to properly care for them or have been confiscated by authorities such as the United States Department of Agriculture, Humane Society and the ASPCA. A 501(c)(3) non-profit organization, the Roar Foundation’s Shambala Preserve gives animals a home where they can live out their lives with love, professional care and dignity. 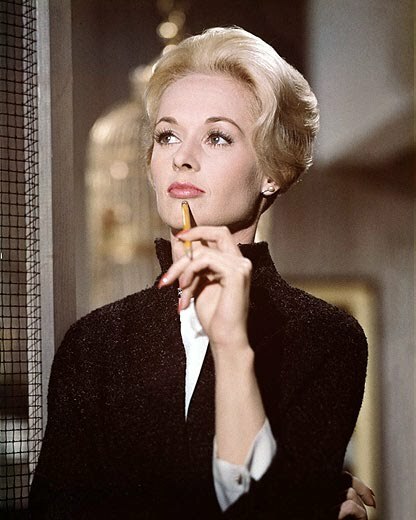 A former New York fashion model, Tippi Hedren made her screen debut playing the lead in Alfred Hitchcock’s 1963 classic, “The Birds,” a role for which she earned a Golden Globe award, and has gone on to appear in some 50 films and countless television appearances. She continues to work in motion pictures and television. An outspoken voice against cruelty to animals both wild and domestic, she co-authored “The Captive Wildlife Safety Act,” halting the interstate traffic of exotic felines for personal possession. It was successfully passed and signed by President Bush on Dec 19, 2003. She has now co-authored a bill titled “A Federal Bill to Ban the Breeding of the Exotic Feline for Personal Possession”. She is not only rescuing these unfortunate animals but is desperately trying to stop the problem. Ms. Hedren sits as president of the American Sanctuary Association that has defined “sanctuary” and is an accrediting organization. In addition to her animal welfare work she served two USO tours during the Vietnam War . She later served as volunteer coordinator for the organization Food for the Hungry providing relief for people all over the world including the Boat People in Southeast Asia. This led to her sole sponsorship of Vietnamese women in the U.S. to learn the manicuring trade. As a result of her efforts, the multi-billion dollar Vietnamese manicuring industry was established. 2010- Genesis Award for 2009 lifetime achievement. 2008- Smithsonian Institute acknowledgement for donation of scripts for “The Birds,” “Marnie” and “The Countess of Hong Kong”. 2003- Received Star on the Hollywood Walk of Fame. After a lifetime of study and association with film makers, authors and scholars, in 2004, Joel Gunz launched a blog devoted to the scholarly consideration of Alfred Hitchcock. Since then, he has built an international audience and won several awards for his writing and research. In 2009, he was twice invited to speak at New York City’s Broadway production of The 39 Steps and in May, 2010, previewed his one man show, Alfred Hitchcock Geek at Portland Center Stage. He is currently finalizing plans for the publication of his film guide Notes from an Alfred Hitchcock Geek. Congratulation! on your upcoming interview with actress Tippi Hedren ("The Birds," "Marnie"...)on 09/12/10. Thanks, Dee Dee! Let me know what questions you'd like to ask! I'm so excited for you, Joel -- imagine having an audience with Tippi Hedren! Wish I could be there in person, but I'm very much looking forward to you telling us all about it afterwards! Good luck! Why do she think that Director Alfred Hitchcock became so very "obsessed" with her? or overly "obsessive" toward her? But most importantly, do you (she) think that he was overly obsessive?